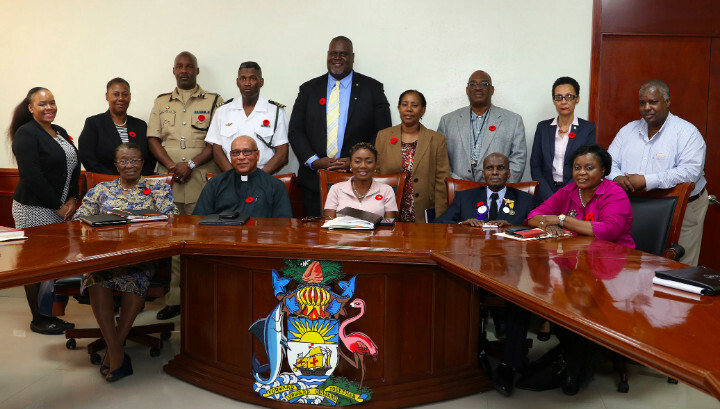 Nassau, The Bahamas - "Again we come together to remember and honour the service and sacrifice of our nation's finest and bravest," said Antoinette Brown, National Events Coordinator/Cabinet Office, and chairperson of Remembrance Day Committee 2018, during a press conference at Cabinet Office, Tuesday, November 6. Remembrance Day 2018 will be observed Sunday, November 11, with a Church Service at Christ Church Cathedral at 11 am and, after the traditional parade of civic and service organizations -- will culminate with a Ceremony at the Cenotaph in the Garden of Remembrance. Additionally, she said, there will be an open house at Pompey Museum, downtown, on Sunday, November 11, from 11 am to 2 pm; admission is free but donations will be accepted. parish, Saturday, November 10, at 11 am. Following the service there will be a Parade to the Veterans' Cemetery and a Military Gun Salute performed by the Royal Bahamas Defence Force.